In a month, it will have been a year since the Partners Group, Pillar Homes, and the City of Wayzata came together in a partnership to make the salvation of the Wise House possible. Tom Wise, an integral member of the City’s history, built his house in 1904 and occupied it until his death. He is remembered for his role as a key businessman in young Wayzata, opening Wise Boat Works (at the location of today’s Wayzata Yacht Club), as well as for his friendship with James J. Hill and his work as the village’s first street commissioner. He, among others, took personal responsibility for the upbringing of Wayzata, and it is because of him that his house is historically significant. It is a symbol of his legacy and a crucial era of the city. That is why some of the older and more historically inclined citizens became alarmed when the property was to be developed by Pillar Homes. 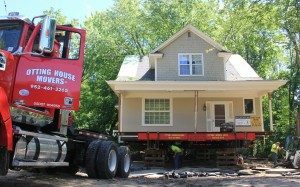 Fortunately, The Partners Group and Pillar Homes were able to arrange for the house to be moved to the former’s office at 222 Minnetonka Avenue South with the help of the City. Tim Foster of the Partners group had previously been acquainted with K.C. Chermak, and saw a wonderful opportunity for both his company and the city to create a new space for conferences and events, and to save a piece of history. 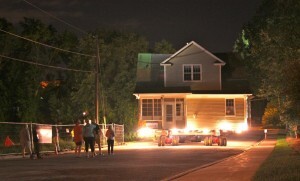 On August 11, 2015, the Wise House crawled across Wayzata to it’s new home in the early morning to avoid obstructing traffic. 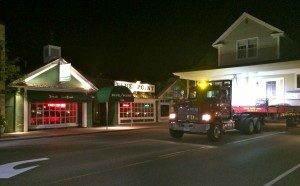 The move went very smoothly, thanks to the aid of the city and everyone involved. Today, the house is used and appreciated by The Partners Group and their guests, and will continue to be a part of the city for years to come.